Money Draw candle work spells are done during the “bring” cycle of the moon which is the new moon to the full moon. There are many money draw candles or spells or exercises, what ever you are comfortable calling them. Below is a simple candle spell that requires little to no effort or supplies. Light anytime during the bring cycle which is the new moon to the full moon, let it burn until finished. 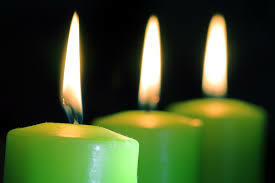 If you must leave, snuff out the candle instead of blowing it out and relight as soon as possible. I prefer the 7 day glass jars candles for full strength and place them on a cookie sheet in case or cracking or tipping. You may also placed in fireplace or outside. Just place where you can see it daily. Often we feel we do not deserve the money so here is a simple Money Draw candle with the ability to accept it. Candles Bring Cycle, manifesting, money. Bookmark. Woo hoo! I needed this, thanks Sandy!